Watch more stunning content like this on ElysiumFire. These projects are built by teams, and there are of course many more teams, in friendly competition for the most impressive scenery. Since these sceneries are handcrafted block by block, the workload is quite heavy, and it is difficult to compete alone. In a way you might say, that scene slightly compares to the demoscene of olds, but with a focus on organization of large scale construction and video editing. It's interesting to note that the people in that scene don't call themselves artists. They don't call themselves Minecraft Artists or Block Artists or Voxel Artists. They call themselves Builders. just that. They see themselves more in common with architects. The work of an architect, constructing buildings and cities, and even environment work such as public parks etc, has a lot to do with aesthetic design work, it needs a lot of imagination and creativity, but it clearly is heavily mixed with hard technical planning skills and organisisation of large construction teams, to make it work. A building or city or park needs to work. Just like a level of a game is not simply a painting -- it too needs to work, so there are all kinds of gameplay design and technical considerations that creatively mix into the final result. It is very creative on all levels of what needs to be considered. 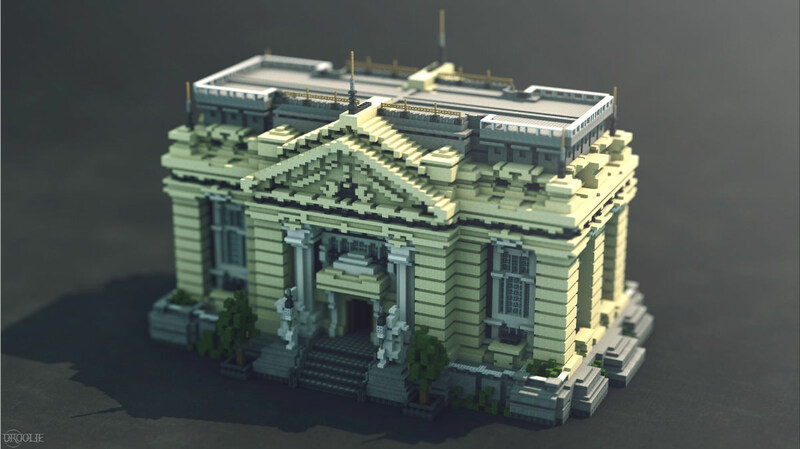 To get just a little glimpse into the thought process of a Builder, we can look at one of the countless Minecraft tutorials, that show you how to effectively go about contructing a certain type of asset. Having seen this, you might be able to appreciate better the work that goes into the top level scene crafts, with entire cities built. Maybe have a look at what team AriaCreations does, with a more modern setting for a change. Knowing how to plan and organize a skilled team of builders/architects is crucial for competing at the top level of this game. 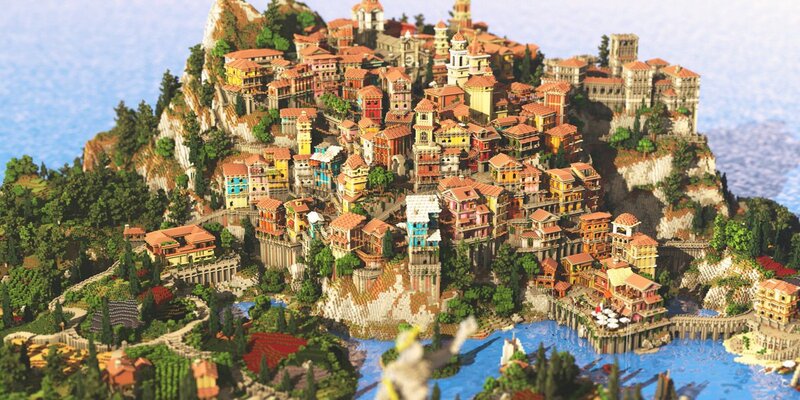 The top teams of "amateurs" in Minecraft have reached a level of skill in scene design and construction that rivals what you would otherwise expect only from AAA developers in the games industry. Though I guess, even among Builders, there are certainly those with a more artistic slant. I am excited to see in a lot of these presentations, how they managed to have a much more organic design, from what you would otherwise expect from having to work with rigid cube shapes. In this video, though it looks amazing of course, we can also see most glaringly one of the main reasons for why they need so large teams to build anything. They don't have tiling available. Not even as a simple copy&paste of sections. Whenever there are any sort of repeated elements, they have to re-build each from the ground up again anyway. 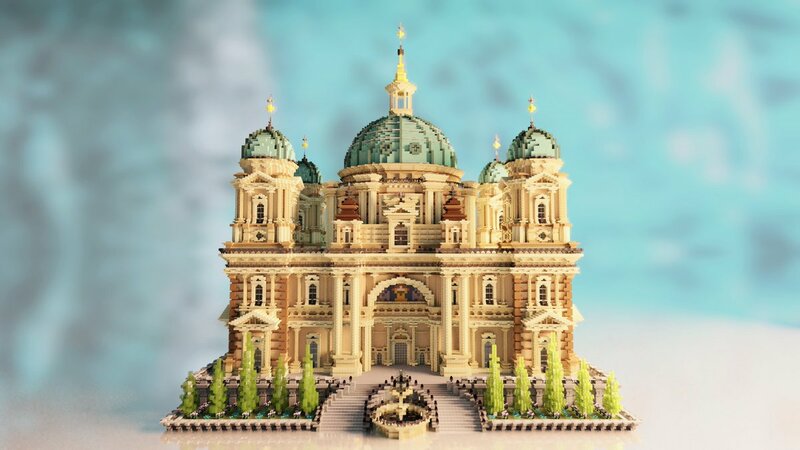 I noticed the builders trying to make this a virtue, by giving everything a slightly unique touch, but you could do that afterwards anyway, without having to rebuild _everything_ from scratch. It doesn't even have a line tool. There is nothing but setting one pixel at a time. The matter of fact is, Minecraft is probably among the least functional tools you will ever have "pixeled" with. And yet it is probably the most popular one ever in use. In its own way, the Minecraft scene is the worst purist you will ever have come across. It has nice shader effects tho! But really, the working conditions are even a lot more ridiculous than that. What these people deal with is basically... whenever they want to set a block, they have to go all the way up close to set it. Imagine everytime you need to set one pixel, you have to zoom all the way in until that pixel occupies most of your screen, then set it. After which you may zoom all the way out again to see how that looks in the grand scheme of things. That's what life is like for a Minecraft builder. If there is a hell for pixel artists, this is it. Oh there sure are alternate voxel tools, specifically made to address these problems. To make life easier. You might say, to give these pitiful creatures human rights. None of it catches on with that crowd. This is life for a Minecraft denizen. Yet despite these horrendous working condition, Minecraft is by far the most active pixel tool and voxel tool. Virtually all voxel content is made in Minecraft, to the point any other voxel tool may as well not exist. 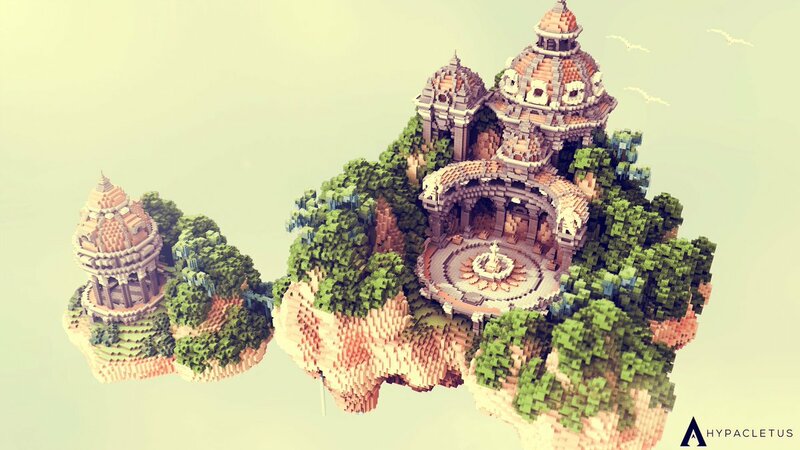 The by far coolest and greatest voxel content ever created is done in Minecraft. It may be the single most active dedicated creative scene there is. But even so, as usual, this is only half the truth! 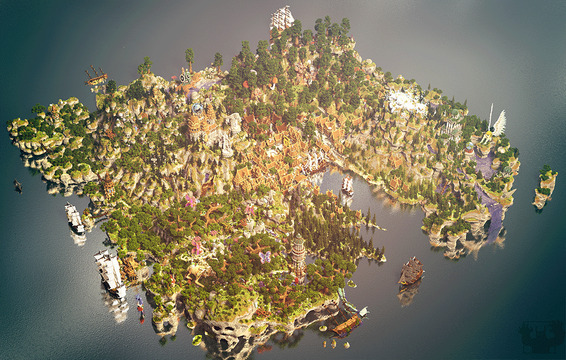 you can also bet that with a creative scene this lively and sprawling, it wouldn't take long for someone to offer advanced editing services for Minecraft. There is a large modding scene, and people are offering auxiliary tools to work with Minecraft content. Two of these that I have come across are WorldEdit and VoxelSniper, aside various landscape generators. Working with these advanced features feels a bit more natural as an artist. Suddenly you have functionality like hard copy of content, making lines and boxed areas in one go, and the ability to paint with bigger clumps or "brushes". Certainly looks more artsy in the overall approach. She still proudly calls herself Builder tho! Here another showcase of effective editing in Minecraft. Sure does turn even a single builder into a creative powerhouse. But this is pretty much like playing the game in God Mode. You damn cheats! Because that's the thing right, Minecraft isn't simply an editor for professional artists or engineers. and build their houses and towns, brick by brick with their own virtual hands, for some savety from all the monsters trying to kill them. And while they're at it, they try to make their harsh lives and meager existense a little pretty. And learn to live and work together and trade with each others to achieve greater things against the odds. They are not just in there to produce assets, they relive what it was like in the "Good old Times". surviving and creating prosperity, they start producing more and more amazing content. If it were merely an editor, for pros to deliver assets, it couldn't be this broadly popular. and that they even offer their amazing environments that they showcase in these videos, for download free of charge. Yes, you can actually download stuff like from the first video in the opening post, and visit the place yourself, play in it and study it. So they do this by hand? If it were me I'd create bots (effectively threads) that read in some kind of CAD-like specification of the final structure and then coordinate to build it. more wild terraforming or more concrete constructions, a lot of unique building in every detail, or more sweeping templates. In this showcase here, we can witness more clearly the in-game planning of the construction process, with a lot of marking going down. for the sake of making the showcase videos more aesthetically pleasing. But experienced builders also have evolved great spatial awareness and are used to counting their steps for each next turn. And while we're at it, you really gotta check out this trailer for the mod Conquest Reforged resource pack for Minecraft, which gives it a much grittier look, and adds tons of new materials/textures/assets, etc. It's almost as if WitcherWHO? ElderscrollsWHAT? DarkSoulsHAH. All u need is Minecraft. Minecraft is life. I came across this fun channel One Chunk, that shows the creation of cute little buildings on a 16x16 area. That looks like a lot of fun.